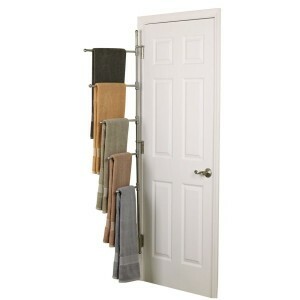 This beautiful stainless steel Euro Valet creates additional hanging space behind the door. Comprises of seven sections, and five arms that creates 7′ of new hanging space. Each stainless steel arm swivel individually, and screws into a stainless steel pole with adjustable brackets for up to 67″ hinge spacing. Turn unused space behind the door into handy, functional storage area for the bathroom, laundry room, mud room, garage or wherever extra organizational space is needed. 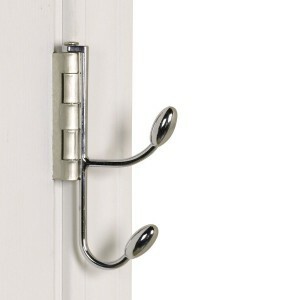 Installs on most top and bottom door hinges. 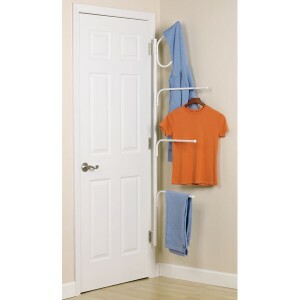 Turn unused space behind the door into handy, functional storage area for the bathroom, laundry room, mud room, garage or wherever extra organizational space is needed. 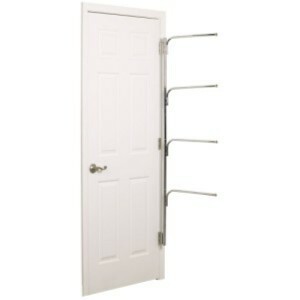 Installs on most top and bottom door hinges. 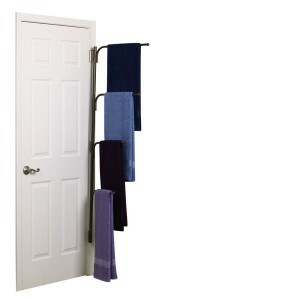 Four pole sections swivel independently of the door.